In just the first week since its launch, on 1 February, the CBSE helpline's new feature draws 4,000 callers. New Delhi: The parents want their children to study more. The students want advice on dealing with study pressure from parents. Although for different reasons, both parents and students seem to be equally on edge with the annual Class X and Class XII Central Board of Secondary Education (CBSE) exams less than a month away. The toll-free CBSE counselling helpline is receiving an unprecedented response this year, with thousands calling in within a week of its 1 February launch for this exam season. Launched in 1998, the helpline was this year equipped with a special Interactive Voice Response System (IVRS) feature that answers several FAQs, including how to increase concentration, deal with stress and tips to ace the exam. Those not satisfied with the answers can then opt for a one-on-one conversations with any of the 87 counsellors the board has drafted for the exercise — 65 in India and 22 abroad. Between 1 February and 7 February, the helpline received nearly 4,000 calls from panicking students and parents. Of these, around 3,000 were satisfied with the IVRS response, while 800 went on to talk to a counsellor. This marks a big rise over the past years. According to the CBSE, in the 2018 and 2017 exam seasons, the board received around 3,500 calls each through the entire counselling period, which ends in April. “We are receiving a very good response with the IVRS because it answers many important questions at the initial level itself,” said Anurag Tripathi, secretary, CBSE. Additionally, the ‘Counselling’ section on the CBSE website has received more than 60,000 visitors in the same period. Vocational exams for Class X and Class XII will start from 15 February, while those for other subjects will begin in March. 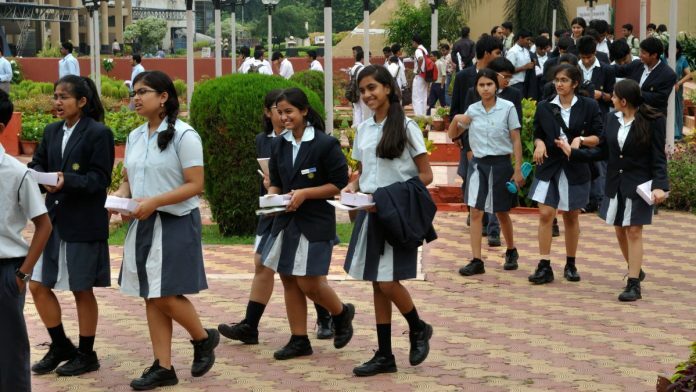 The board exam season has been working up students’ and parents’ nerves for generations, as they mark two crucial junctures: Class X, after which students narrow their study sphere to a chosen field (arts, science or commerce), and Class XII, whose percentage holds the key to admissions in several universities. Worried parents and students find themselves facing a host of queries as the exams approach, and the CBSE helpline, which the board promotes on its official website and by informing schools, is meant to help them calm their frayed nerves. The questions asked by parents and students, however, vastly differ, according to CBSE officials: While parents want tips to make their child study more, students want advice on dealing with pressure from parents. Some students also say they are so nervous they want their parents at the exam centre with them. According to CBSE officials, some of the most frequently-aired concerns include students making “silly mistakes despite studying the whole year”. A few students, the officials added, said they got tense when “friends tell them that they have revised the entire syllabus two-three times and they have not yet completed it even once”. The advice the CBSE dishes out includes telling parents to not rebuke or pressure the child to study all the time, give them sufficient time to study, and help them with their studies. It also advises them to not harp on students’ previous failures or results, and be mindful of the problems children face. Another novel initiative that made its debut this year is a YouTube channel called ‘CBSE counselling’, which includes videos on exam anxiety, apart from other issues students face, including depression, learning disabilities, substance abuse and internet addiction. The videos draw on actual case studies. http://parentingmantra.com/2018/11/22/5-ways-parents-unknowingly-increase-academic-stress/ is the right link address for the article. Sorry for the mistake. I think so a bit of nervousness is okay. Because after all these are board exams . But generally students take it more seriously than it is , which should not be the case.